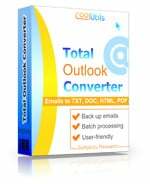 Total Outlook Converter is a new and versatile tool, which makes OST into JPEG. This is the latest addition to the program's functionality. Apart from JPEG, it converts messages to a wide variety of formats and documents without a single source file lost or corrupt. 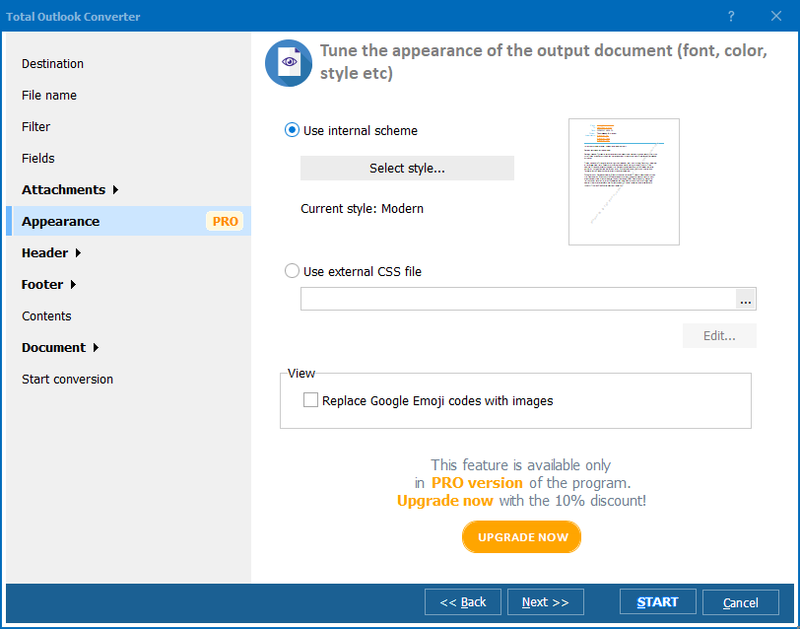 The program's robust and easy-to-follow user interface saves users the necessity of doing routine work such as picking files one by one and browsing for an appropriate converter. Once you have learnt how to handle this tool, you'll never forget it. This converter features a batch function, which allows you to convert OST to JPEG in large numbers in a matter of seconds. The program integrates into your operating system seamlessly. You can simply right-click on an OST file and select Convert to in the right-button popup menu. Click 'File' in the top left corner and navigate the file tree. 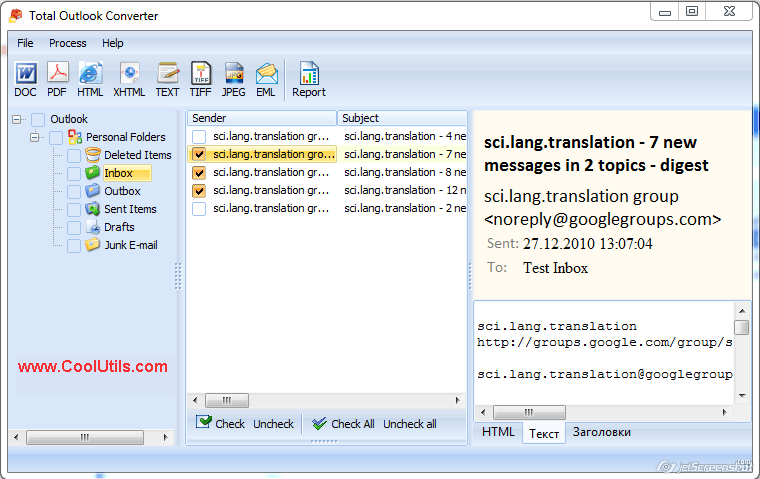 Select the folder with OST files and view the file list with checkboxes. Here you can go two different ways. First, you can check one or several OST files manually. Second, you can click Check All button below the list and have all the OST files checked. Whichever way you go, the next step is quite standard. Select Process in the top left corner of the interface. Use the wizard and make your settings. 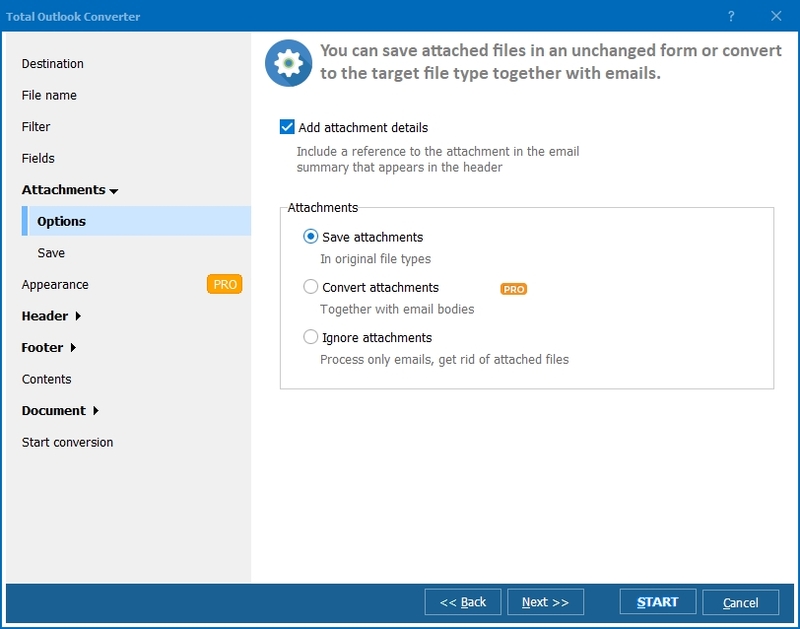 Here you can choose destination folder, file name, attachments and templates and shape your target files in a suitable way. If you do not have experience with these parameters, skip it and let the system apply the default settings. Click Start button to launch conversion. Thanks to the new feature, which is the OST support, this tool is now referred to as OST converter. This is a shareware utility, which has a free demo version. Valid for 30 days, it features the basic functions, so you can use it and make your own opinion about the tool. If you register, you will be receiving free tech support and updates for 1 year. 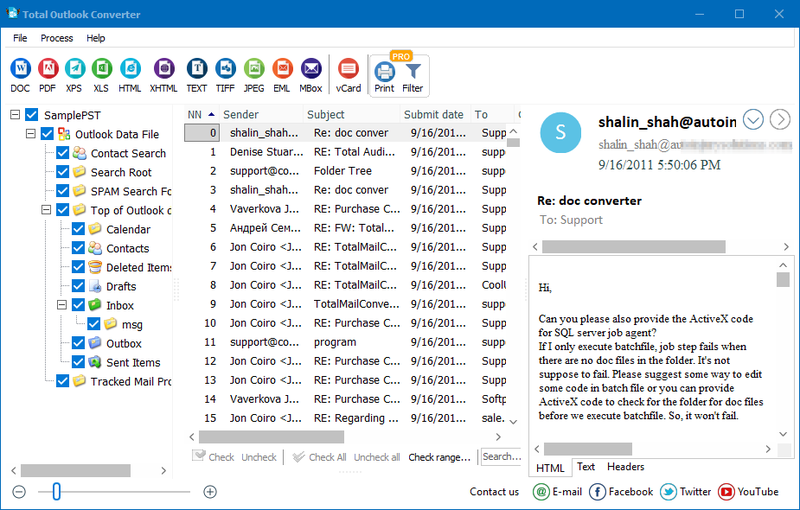 How to convert Outlook to JPEG?